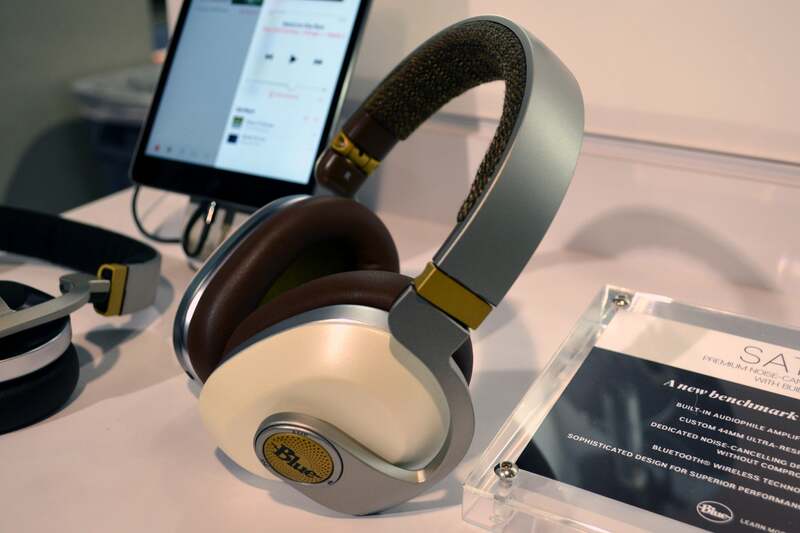 The big trends are active noise cancellation, Bluetooth in almost everything, and interesting new ways to handle digital audio. 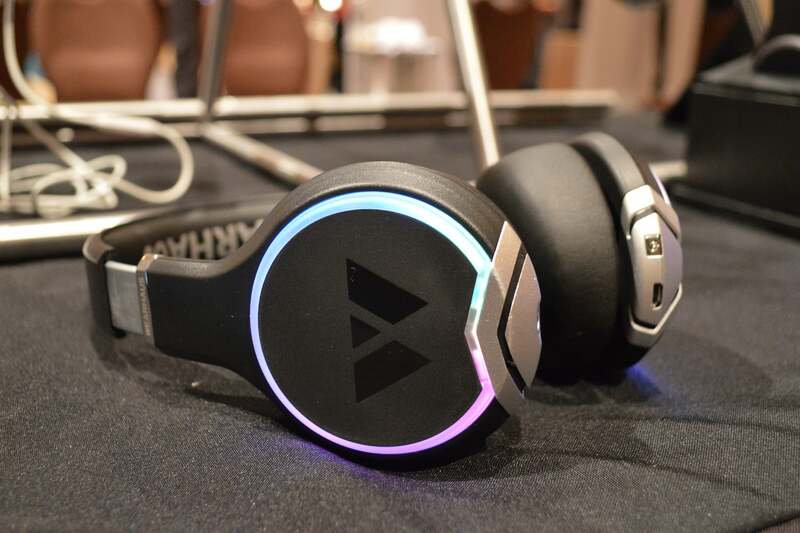 We saw great headphones for every taste and every budget at CES this year. Looking for something heavy on the bass to exploit your EDM tracks? Sony has you covered. In the market for a high-fidelity concert-like experience? 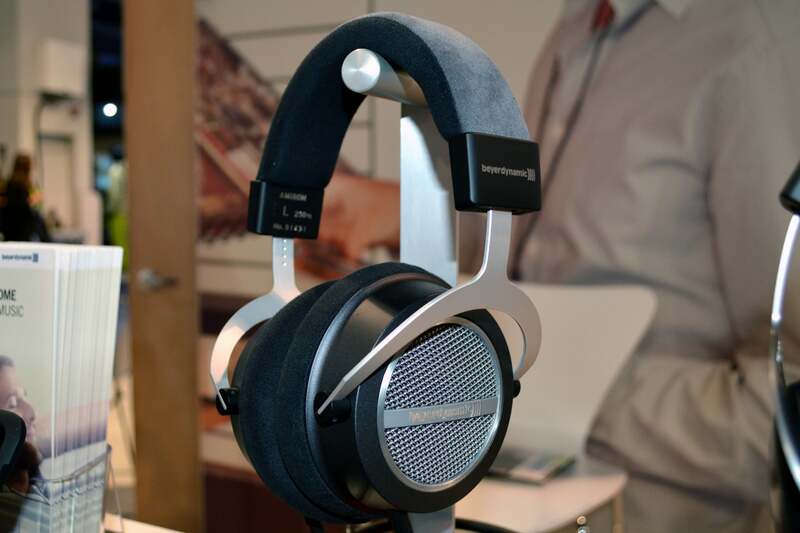 Beyerdynamic’s Amiron Home open-backs impressed the heck out of us (we’ll have a full review very soon). Dig listening to music while running or hiking in the rain? We found the perfect pair iHome’s booth. Let’s check ‘em all out. Sennheiser is building on its HD 4 product line with a pair of wireless Bluetooth headphones with active noise cancellation: The HD 4.50 BTNC over-ear headphones sport a minimalist style and feature 32mm drivers, built-in Bluetooth with support for the aptX codec, and an NFC chip for quick pairing. These headphones have big, cushy ear cups that do a great job of passive noise cancellation with an impressive 18 hours of battery life (turn the ANC off and you’ll get upwards of 25 hours). 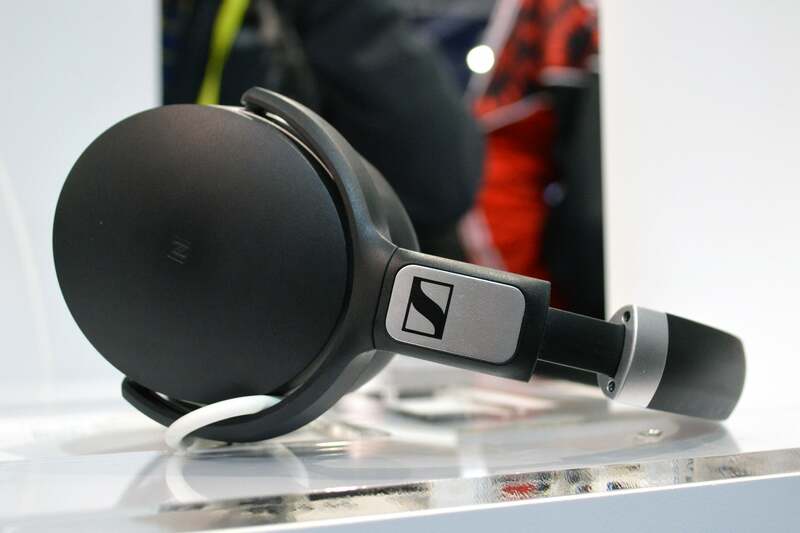 The HD 4.50BTNCs will start shipping in February and will cost $200 (Sennheiser’s HD 4.40BT drop the active noise cancellation to achieve a lower price point of $150). House of Marley’s Rise BT on-ear headphones are lightweight, stylish, and made from sustainable materials. 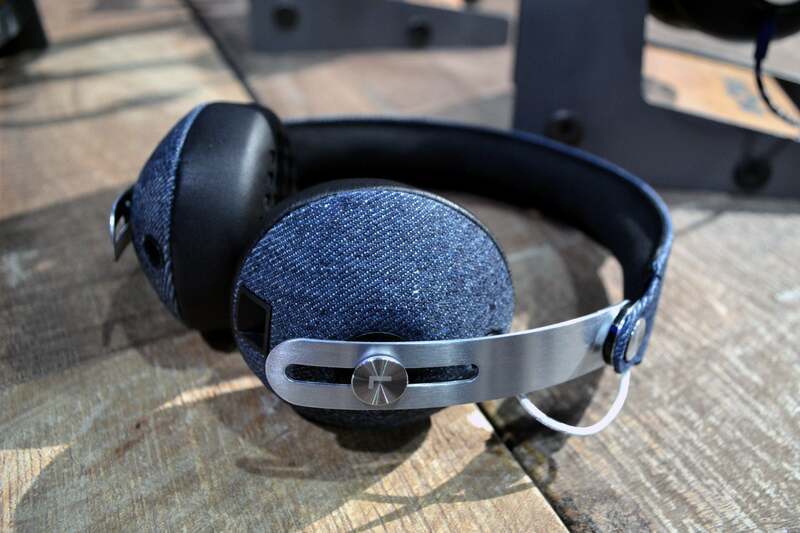 These cool-looking headphones have plush on-ear cushions, a padded stainless steel headband, and come in three colors: Denim, black, and a palm print. They’re made with House of Marley’s signature Rewind fabric and feature 50mm drivers and an optional cable. The Rise BT offer 12 hours of playback time and have a built-in microphone and physical control buttons on the ear cups. You can pick up the Rise BT now for $100. Blue Microphones is best known for its studio-quality mics, but the company also makes headphones (we’ve previously awarded high marks to their self-amplified Mo-Fi and non-amplified Lola models). 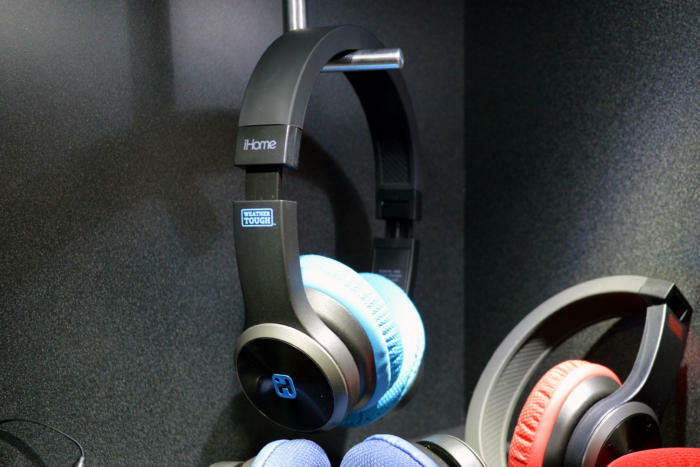 This year, Blue is releasing its first pair of wireless Bluetooth headphones. Dubbed Satellite, these headphones take a unique approach to active noise cancellation: Instead of using a single driver for both audio and noise cancellation, the Satellites have two drivers in each ear cup, one for audio reproduction and one for noise cancellation. This means that the Satellites can deliver much better audio quality, because there’s no distortion from the noise cancellation (you’ve probably noticed that headphones with ANC usually involve a sacrifice in sound quality for this reason). You can read this story for more details on Satellite, which will be released sometime this year. 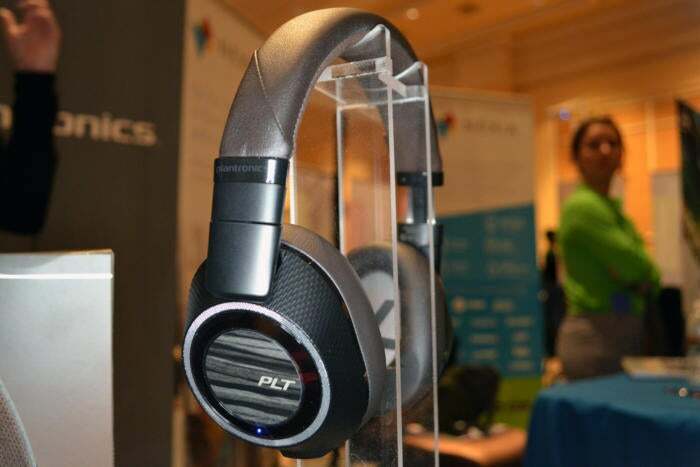 Plantronics has redesigned its premium noise-cancelling headphones, the BackBeat Pro, into a slimmer, sexier model. The new BackBeat Pro 2 headphones have all the features we loved about the original BackBeat Pro: Good active noise cancellation, 24-hour battery life, and a “smart” headband that can tell when the headphones are on your head versus sitting around your neck. The new headphones are smaller and lighter, with oval-shaped ear cups and slightly less-obtrusive on-the-cup controls. Plantronics is a headset company, so there are a few nice calling features (you know, aside from a microphone) built into the headphones, including an inline option that lets you hear your voice while you’re talking. The BackBeat Pro 2 are available now and retail for $200. We’ll have an ears-on review soon. 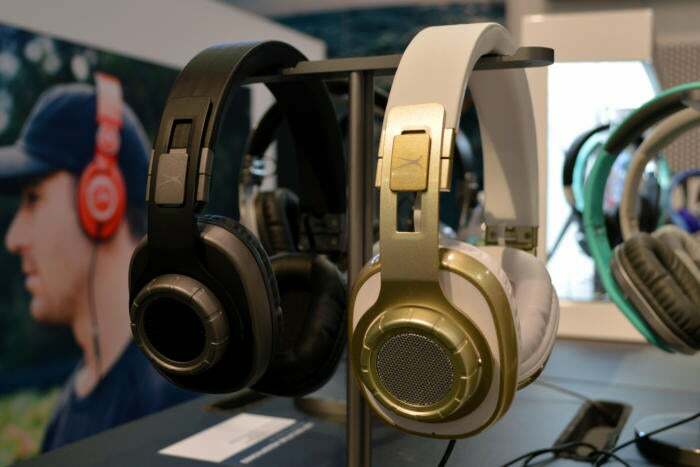 Altec Lansing’s Lux ANC over-ear headphones are part of the company’s new executive line of headphones; in other words, they’re designed for businesspeople who travel. These wireless Bluetooth headphones have a Bluetooth range of up to 50 feet and 15 hours of battery. They also come with a charging case that lets you recharge them twice while you’re on the go. The charging case is really a game-changing feature, since the best Bluetooth headphones are the ones that don’t run out of battery life halfway through your round-the-world itinerary. The Lux ANC headphones feature 40mm neodymium drivers, active noise cancellation, and good sound and comfort for the price. 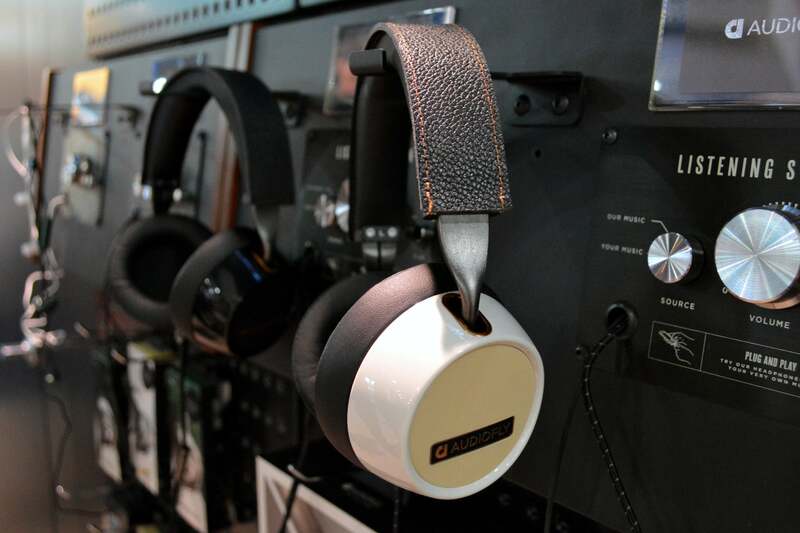 These headphones and their non-ANC counterparts will be available sometime this spring, retailing for $150 (the non-ANC version will cost $100). Sharing music experiences with our friends via split earbuds or dual headphone jacks is so 2016. All the cool kids are streaming their music to each other using Wearhaus’s new Arc headphones. These Kickstarter-backed on-ear Bluetooth headphones have a unique feature that lets you “stream” your music to other people: Using touch controls on the ear cups, you swipe forward to broadcast, and other Arc-wearers around you can swipe backward on theirs to receive. 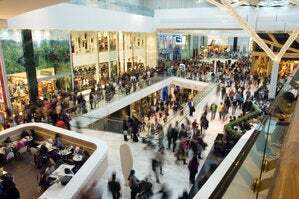 It’s a cool system that enables people to share music from up to 100 feet away. The Arc headphones offer 16 hours of playback time (sharing reduces that to 10 hours), 40mm dual-diaphragm drivers, and a colorful LED ring around each ear cup that can be customized via the app. You can pick up a pair of Arc headphones right now (black only, white will start shipping later this month) for $200. Beyerdynamic’s Amiron Home headphones offer top-shelf sound quality at a mid-range (for an audiophile, that is) price. 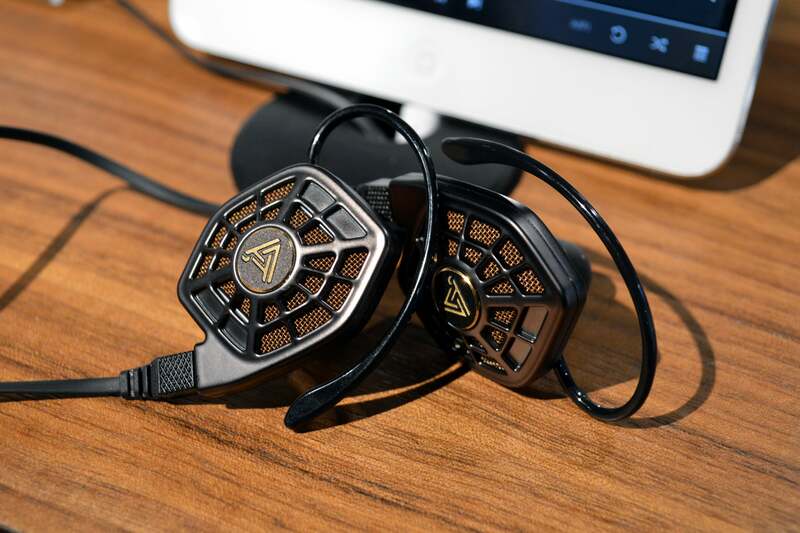 These over-the-ear headphones cost $600 and feature Beyerdynamic’s Tesla drivers, which have, according to the company, been even more finely-tuned to reduce vibrations and treble resonances. These are wired cans, though they do have detachable wires, and have an open back, which means they’re really for use in your home—not an office setting or out in public, where your music will be very audible to those around you. The Amiron Home headphones are available now and we have a review in progress. I’m not sure how many people are looking for rugged, water-resistant, on-ear headphones. People who frequently get caught in the rain, I suppose, or athletes who find earbuds uncomfortable. Well, good news: iHome has you covered with its “weather tough” iB88 headphones. These carry an IP65 rating, which means they’re dust- and splash-proof (just don’t dunk them in a pool). These Bluetooth headphones have a compact, foldable design, and come with a “sweatproof” headband and two sets of sweatproof ear cushions, so they’re perfect for hiking or running in the rain or whatever you do with water-resistant on-ear headphones. There’s a built-in microphone for phone calls, an 18-hour battery, 40mm drivers, and touch controls on the ear cups. The blue version will be the first color on the market this spring, when they’ll retail for a very affordable $70. Looking for bass? You’ll find it—all of it—in Sony’s new MDR-XB950N1 “Extra Bass” headphones. These over-ear wireless Bluetooth headphones have all the features you’re looking for: Active digital noise cancellation, big cushy ear cups, and a foldable design, plus a dedicated “Bass Effect” button that you can press for a big, punchy bass boost. If you’re looking for a little less bass, the headphones work with Sony’s Headphones Connect app, which you can use to adjust the bass levels and otherwise tune your audio to your liking (there are also multiple presets for a quick fix). The MDR-XB950N1 headphones offer an impressive 22 hours of battery life—and that’s with both noise cancellation and the bass effect feature turned on, according to Sony. 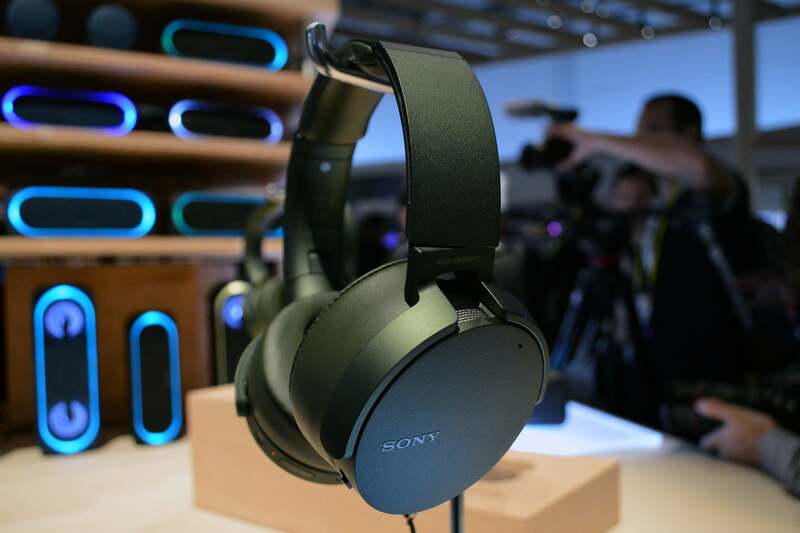 These headphones will come in green and black (a non-noise-cancellation version will come in red, blue, and black) and will cost around $250 when they start shipping in mid-March. Audiofly is better known for its in-ear headphones and earbuds, but the company does have one pair of over-ear headphones on the market: The AF240. These premium headphones feature a “self-adjusting” headband that automatically adjusts to fit your head size (okay, it basically just retracts very slowly). While many headphone makers like to pump up the bass on their over-ears, Audiofly’s sound philosophy is more musician- (and vocals-) focused. The AF240s have a better midrange presence than some of the other headphones on the market, so they’re perfect for listening to deep vocals. Comfort-wise, these wired headphones are excellent; they’re lightweight, and they have wide, encompassing ear cups (though the ear cups do stick out a bit). 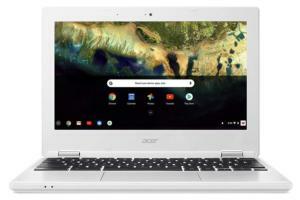 You can pick up the AF240s now for $250. 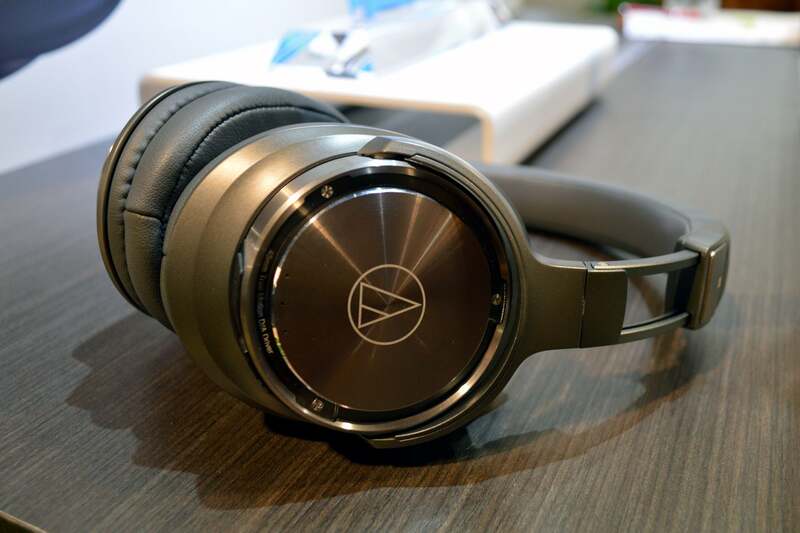 Audio-Technica’s new ATH-DSR9BT over-ear headphones feature the company’s “Pure Digital Drive” system, which means the audio signal remains digital from the source to the driver. That’s right, there is no digital-to-analog converter anywhere in the signal path. The trick is made possible by Trigence Semiconductor’s new Dnote chip, carries a digital signal directly to the electro-mechanical element that reproduces the recording. Audio-Technical claims this significantly reduces distortion and dramatically increases fidelity. The ATH-DSR9BT are otherwise what you’d expect of higher-end over-ear Bluetooth headphones: They have large, 45mm drivers, closed-back ear cups, and volume and tap controls on the edges of the cups (instead of on the side of the cups, where inadvertent taps and touches might disrupt your listening experience). The ATH-DSR9BTs are available now for $549.